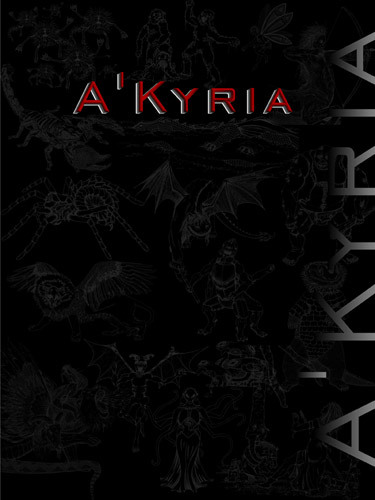 The Warrior Centaur Battle Pod is an individual digital creature tool for generating encounters for the A’Kyria tabletop RPG system, developed to assist you in creating your own adventures. 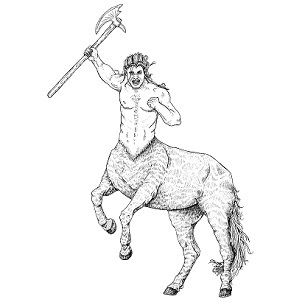 A Centaur is half-human and half-horse, with the upper torso and head of a human, and the body of a traditional horse. This warrior is a sub-set of the Centaur race by occupation and is just one of many different Centaur types available. This sub-set has the appropriate OSB bonuses and will have abilities that match the occupation. Centaurs are herd creatures and are seldom solitary. Bands of Centaur warriors will often guard the boundaries of their herd lands. They are strong and intelligent, fiercely loyal to their herd, but surprisingly superstitious with a strong sense of the mystical aspects of life. They honor those dead foes that they deem worthy by taking locks of hair, fur or skin from their dead enemy and weaving these pieces into their mane.